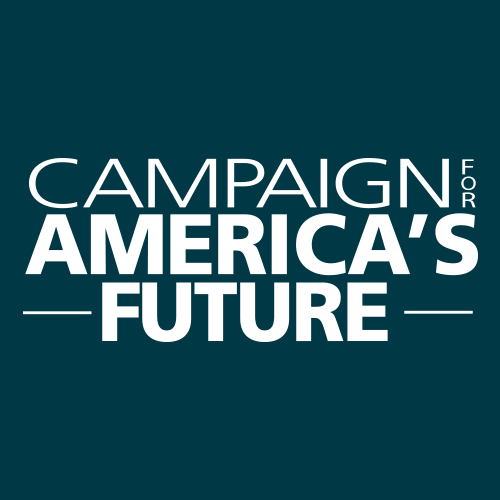 The Campaign for America’s Future is the strategy center for the progressive movement. Our goal is to forge the enduring progressive majority needed to realize the America of shared prosperity and equal opportunity that our country was meant to be. To attain our ultimate goal, we spearhead a compelling progressive agenda that addresses the kitchen-table issues working families face. We regularly convene and educate progressive thinkers, organizers and community activists so our voices will be coordinated, cogent and potent. And we incubate national campaigns on the critical issues that will define America for generations to come. Americans have had it with tired conservative politics that divide us, an economy that squeezes us, a foreign policy that weakens us and a government that serves few of us. But while conservatism may be exhausted, progressives are just getting started. The Campaign for America’s Future is driving our progressive movement and offering the new vision, bright ideas and bold leadership Americans rightly demand. We are showing the way toward accessible education, affordable health care and secure retirements for all. Toward a clean energy future and away from Middle East occupation. Toward the representative, responsive and responsible government needed for all of us to enjoy life, liberty and the pursuit of happiness. We cannot let the conservative failure that brought us to this precarious moment tip America into another Gilded Age and leave the world at the mercy of unaccountable multinationals, oil-drenched autocrats and merchants of terrorism. It’s our job to turn this precarious moment into a prosperous progressive era. Together, we can.